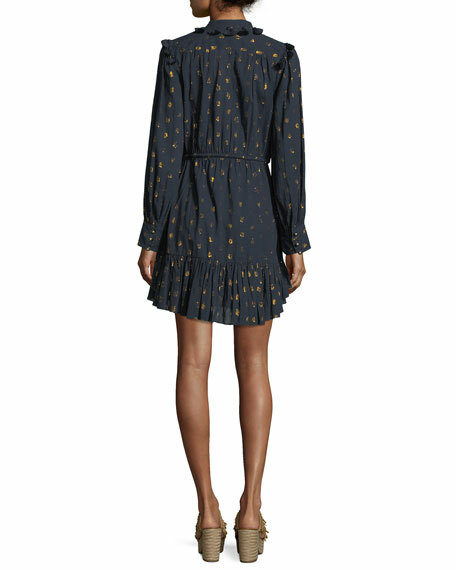 Figue "Emma" cocktail dress with metallic dots and tassel trim. High neckline; partial button-loop front. For in-store inquiries, use sku #2367559.